I’ve always believed that it’s not just about the food and drinks, but the atmosphere and most importantly, the experience. There is nothing more satisfying than having a wonderful meal, surrounded by people that make you happy, in a setting that makes you feel special. After visiting Avenue and meeting Josh and Jessica I know that everyone in Medfield and beyond will have many wonderful, tasty experiences there. 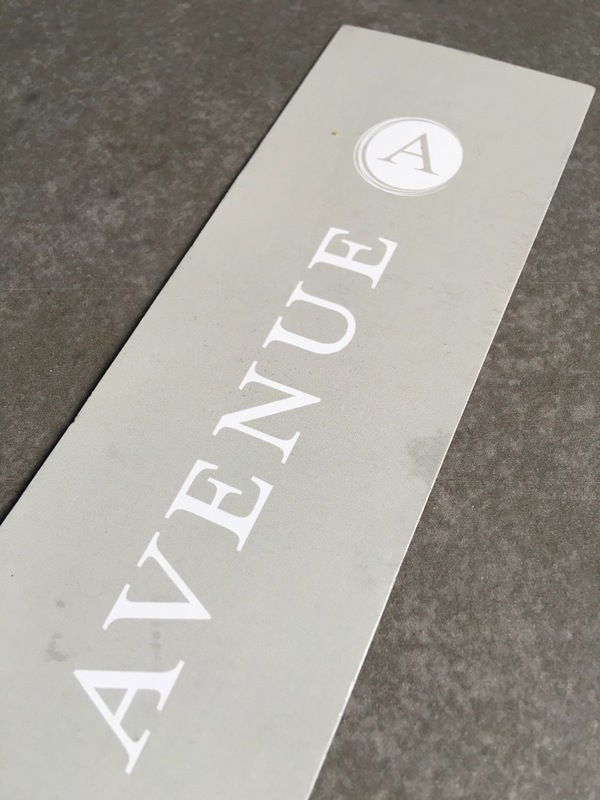 That was the last thing I wrote about Avenue back in April when Josh and Jessica Foley were kind enough to let me and my husband, Jon, have a sneak peak at their restaurant, as they were setting up for its opening. Having visited Avenue for the first time last week since they officially opened, what I wrote in April is exactly how I felt when we ended our dinner and (reluctantly) walked out the door. From the minute we walked in and saw the interior, which is chic, yet comfortable, I was amazed. And I had to remind myself that I was in Medfield and not in the city. The blue/gray colors of the restaurant were warm and inviting. 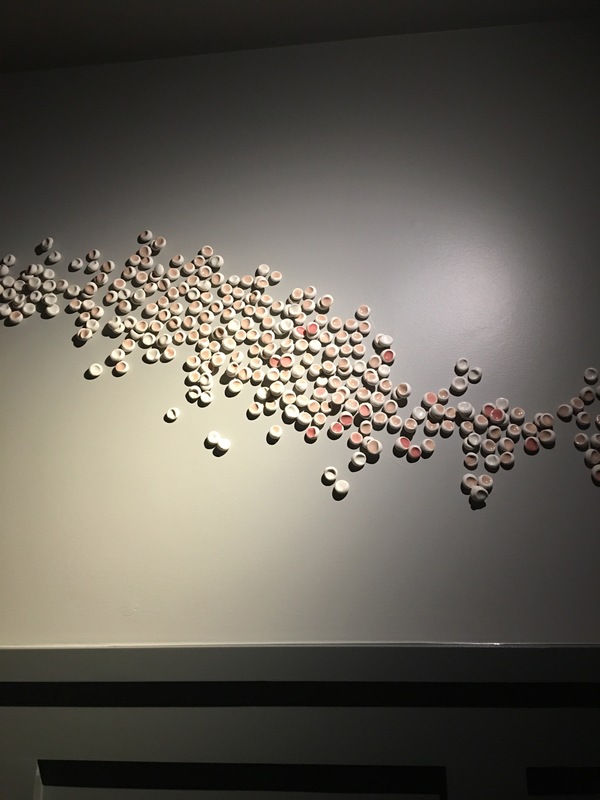 And one of my favorite parts of Avenue’s interior was Christina Watka’s art installation. On its own, it’s absolutely beautiful. And it complements Avenue’s sophisticated warmth so well. Jon and I had dinner with our good friends, Mark and Kelley, who love going out for enjoyable and well-prepared food as much as we do. Mark and Kelley had been to Avenue the week before and were raving about the Charred Asparagus. You’re probably wondering, “How exciting can asparagus get?” Let me tell you: Avenue’s Charred Asparagus is like The 4th of July and Christmas in your mouth. 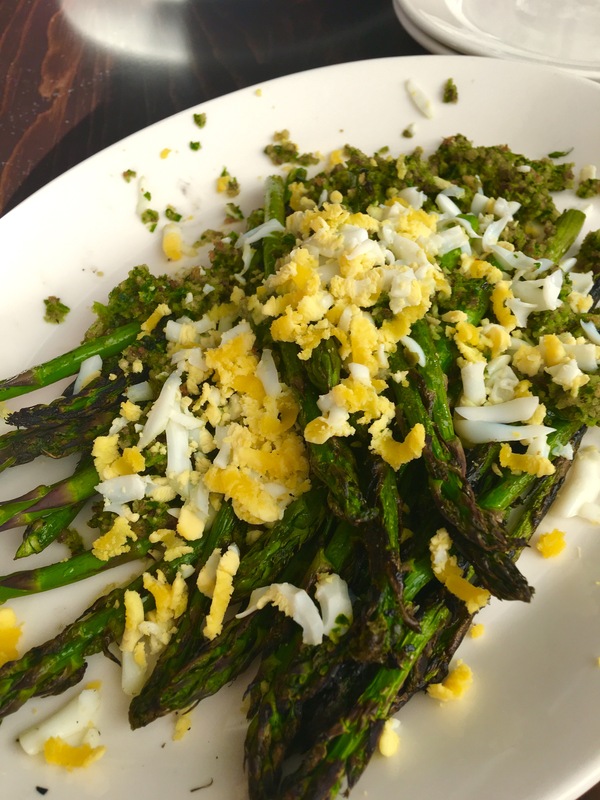 The asparagus is grilled perfectly and topped with breadcrumb salsa verde, which tastes like hints of the most delicious stuffing you’d ever had on Thanksgiving. But the flavor doesn’t end there. Crowning the Charred Asparagus is a beautifully cooked shaved hard cooked egg. 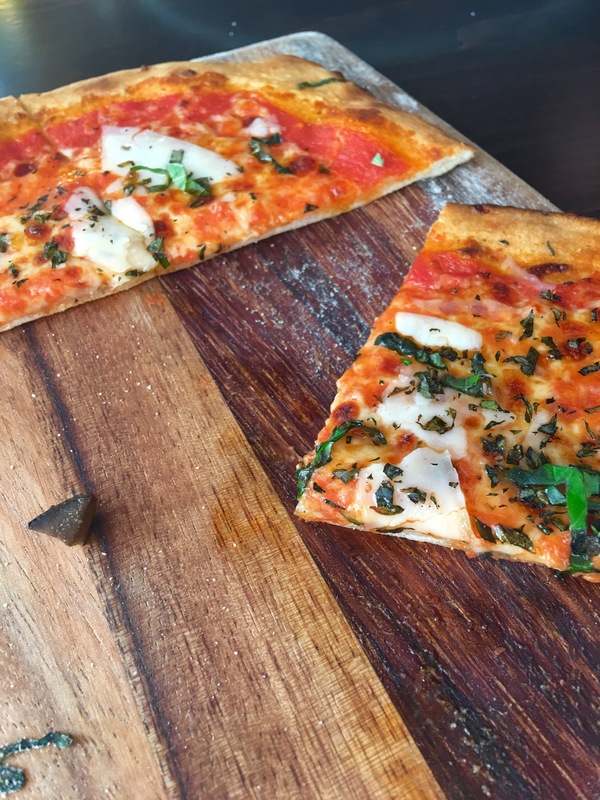 We also ordered Pomodoro Flatbread, which had crushed tomatoes, mozzarella, pecorino, oregano, and basil. The flatbread was made in the wood-fired oven and it was perfect. The flatbread itself was thin, without being burnt, which is unfortunately the way I’ve had it at some other places. And what topped it was just so flavorful and evenly balanced. Both the Charred Asparagus and Pomodoro Flatbread went perfectly with the bottle of Triennes rosé that Jon and I had. 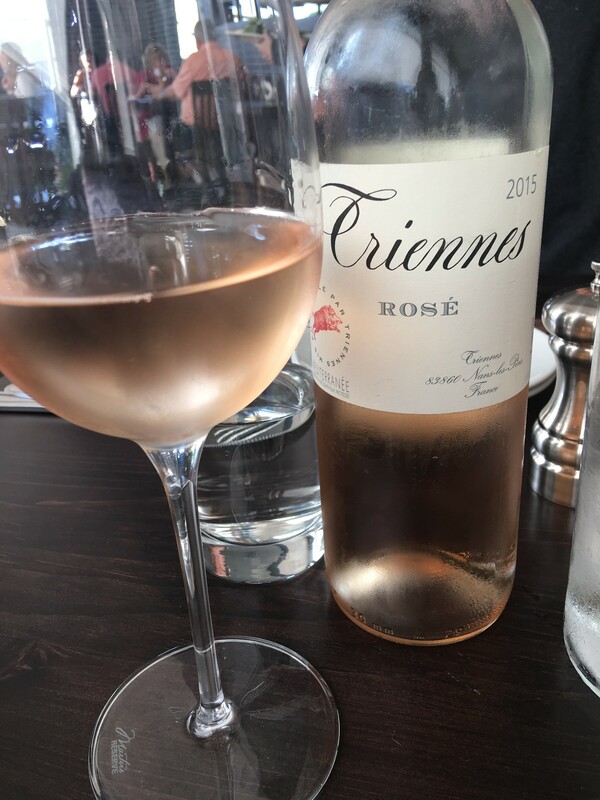 The fact that rosé and sparkling rosé are part of Avenue’s menu is a huge plus in my book. Their entire wine and drinks menu was extensive and fabulous and one of these days I will try every single one. I’m looking at you Paloma (tequila, grapefruit, lime, and sage). Choosing an entrée was a tough decision. I’m talking borderline Sophie’s Choice tough decision. Remembering the tour that Josh gave us, and seeing the Norcal Split Argentinian Wood Grill with Roti bar, I initially thought about getting the Argentinian Brasa PA Natural Chicken. I had the image of the chicken from Avenue’s Facebook page in my head: two beauties with crispy skin, dancing on the wood grill. But then I saw the Wood Grilled 12 oz. 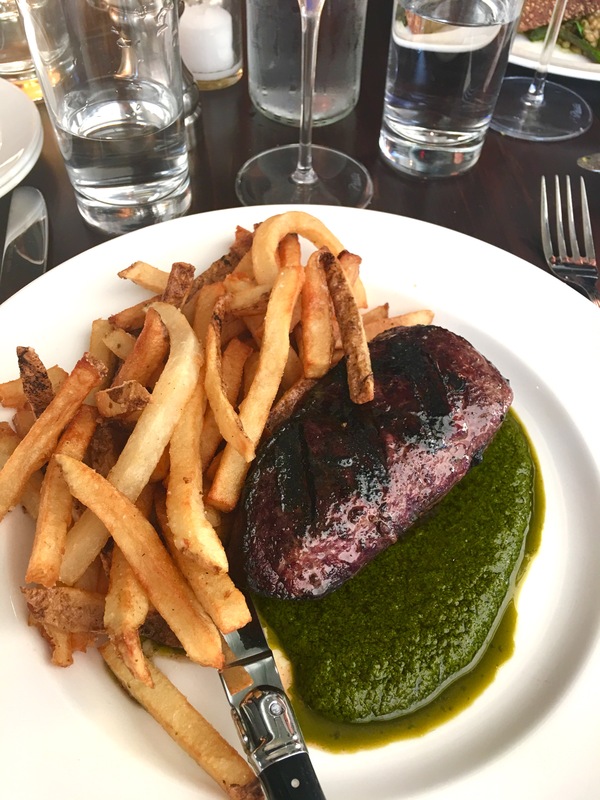 Natural PRIME Coulotte Steak with chimichurri and was leaning towards that. 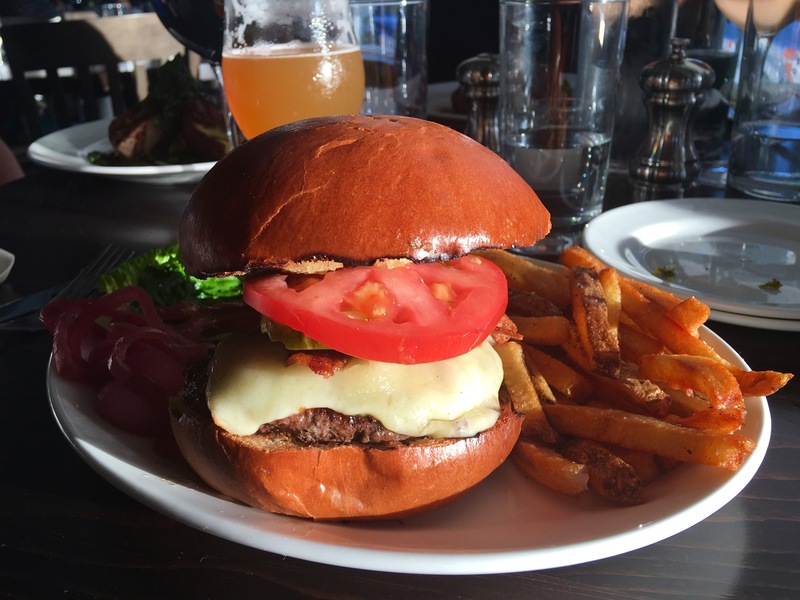 If I’m being honest, it came with frites, one of my all-time favorite things ever, and that kind of swayed my vote. Jon ended up ordering the Natural PRIME Coulotte Steak and kindly gave me a bite dipped in the chimichurri. WOW. Medium-rare, tender, and so very flavorful. I highly recommend it. 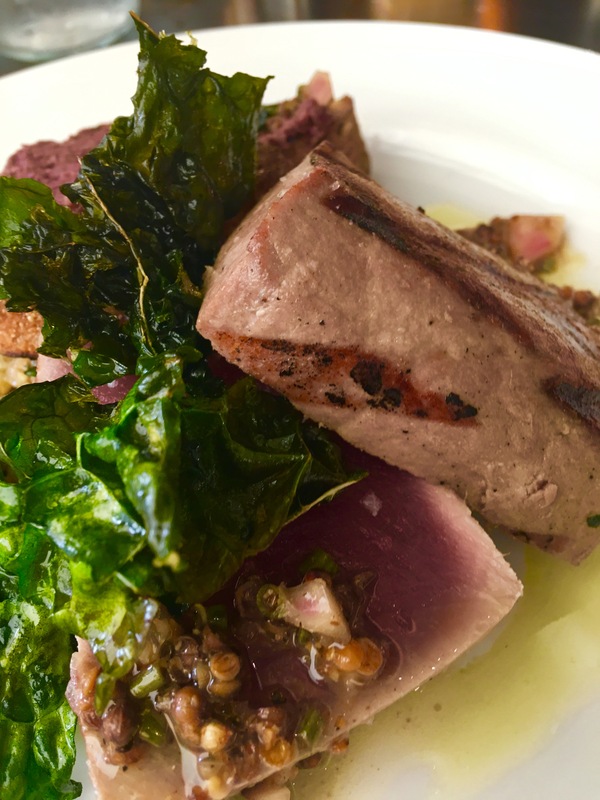 But then my eyes moved to the Wood Grilled Local Yellowfin Tuna with toasted farro, served with Tuscan kale, cracked coriander vinaigrette, and tapenade toast. I felt like my heart skipped a beat. But what it really was, was my stomach impulsively reacting with a twitch and a growl. My decision was made. And it was a great decision. Kelley ordered the Yellowfin Tuna also. Clearly, we have excellent taste. It was like the Yellowfin Tuna kissed the grill – gave it just a little peck – and what ended up on my plate was a perfect, generous portion, perfectly grilled on the outside and perfectly rare inside. In my opinion this is the best way to have tuna outside of a sushi restaurant. And it wasn’t just the Yellowfin Tuna that blew me away. The toasted farro, which I had never tried before, was delicious and flavorful. I remember watching Giada De Laurentiis make farro on one of her earlier shows and was always curious about it. I’ve had it on the backburner to make, but never did. I’m glad I tried it for the first time at Avenue. But the downside is I’ll have it somewhere else and will always wish that it tasted like Avenue’s. Even the kale was good. And I’m kind of meh on kale. My first bite of it I thought, Josh is a genius to make kale taste this good. I mean, kale! And the tapenade toast… First of all, toast – which already wins my heart. But to be topped with a briny and beautiful tapenade, totally made my heart sing. Remember how I said that the Charred Asparagus was like The 4th of July and Christmas in your mouth? 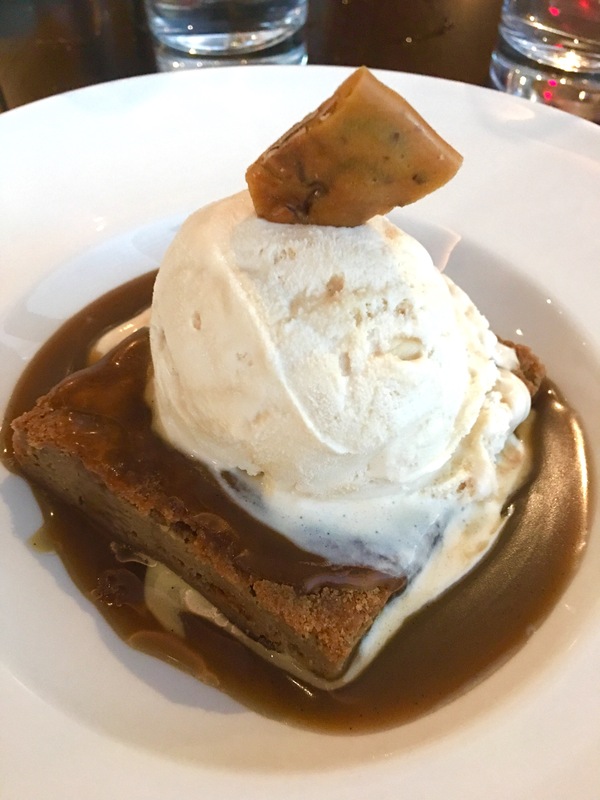 Well, for dessert we ordered the Butterscotch Blondie Sundae with Almond Brittle and it was like both of those holidays PLUS Thanksgiving. One bite and I was transported to dessert nirvana. I’m not a big butterscotch fan, but Avenue has changed my mind for the better about it. There is no doubt that I will be returning to Avenue. It’s been a few days since I had my first wonderful meal there and I can’t stop thinking about it. There is still so much more to try from their extensive and mouth-watering dinner and drinks & wine menu. And so many more wonderful moments to experience. I hope to see you there! Stop! I read this as I was fixing a bit of supper for my grand daughter, daughter and myself. I was licking the screen! It’s embarrassing.